Are you wanting to lose weight, or even better, get rid of the excess weight you know you want to, and acheive your ideal weight? Well.. Welcome to Your ideal weight loss clinic in Chandlers Ford Hampshire. 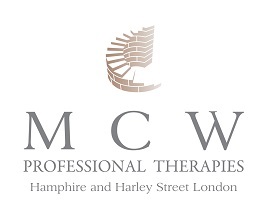 It is here that in addition to running a successful private practice in Harley Street and Chandlers Ford, specialising in particular areas of mental health, like the spectrum of anxiety and depression. I thought it was time to dedicate a page that provides an additional service, where you can focus on the enourmous health benefits of taking control of your physical health and your relationship with food. So why now? I have worked with many clients over the years regarding their relationship with food and how to achieve their ideal weight, though I have never publicised or advertised. Now clients are asking me to write about it and to dedicate a page to ensure anyone who is looking for this service can enjoy the benefits that previous clients continue to enjoy today. What does Your Ideal Weight Clinic provide and what is different to what is already available? There are many successfull organisations available for example Lighter life, Weight Watchers and Slimming World, all focussed on losing weight. The Chandlers Ford Ideal Weight Clinic focusses on the following areas. You already know that the aims are to become healthier, to be a healthier eater and to reduce and get rid of excess weight. Not wanting to carry it around anymore, wanting to feel lighter,more energised, refreshed and confident with your self image. Ready to feel and look great. This clinic is not just focussed on reducing and getting rid of weight, using Clinical Hypnotherapy and CBT. I also work with what underpins your relationship with the food you eat, your beliefs and the unconscious habits your may have learnt when younger. I see this quite often, clients share that they have been on various diets and treatments, then later the weight and habits just creeping back in. The yo-yo dieting. Food can sometimes be linked to emotional eating, when feeling upset, anxious, worried or depressed. Just using different foods to give that lift or for support. We just reach out without thinking and then feel the guilt and shame afterwards.. if only I had not. Clients experience, feel and taste the real benefits by becoming aware of what their habits are, and what their relationship was with food. New beliefs can emerge and clients engage strongly, with the end result of achieving and maintaining their ideal weight for the long term. Confidence, motivation and self-esteem are important areas to consider and I review this and monitor with all my clients. If required, sessions are specifically provided to increase awareness and strength in these areas. You see, if we dont feel good about ourselves we are less likely to engage or participate in any treatment, or behavioural changes (Emery, et.al., 2015). Change just feels more difficult. Motivation applies to all areas of life, if you feel driven and really want to succeed, you will. Your relationship with any treatment, or goal will be healthier and of benefit. Many clients come to see me to increase their motivation and resillience. Do you find sometimes you cannot help but reach out and eat your favourite biscuit, maybe a chocolate or even find your hand has reached the bottom of a family crisp bag? Or maybe the contents of the biscuit tin has suddenly just vanished? Just reaching out for foods when we know that they are not healthy for us, have them too often, but we just end up eating them? Well I am able to provide interventions that are sucessfull in reducing or or completely removing food compulsions. In these particular sessions we focus on reducing the compelling need, thus leaving you with choice. Please review the clients testimonials (Client Testimonials). Ready to call to review your questions and have a 30 minute complementary telephone consultation? Just before you do, I want to recap. At the Ideal Weight Clinic in Chandlers Ford, we work with you to increase or maintain your motivation, to help you stay on track with confidence, knowing what to do differently with how you think about food before you eat, our aim is aligned with yours, developing a greater self confidence, self control and self belief that you can be who you want to be and achieve your results. I recognise that becoming the ideal weight that you want to achieve is not just about your relationship with food and the psychological associations. We of are of course more than just mind, our body is of equal importance. It is only language that determines a difference between mind and body, when in fact we are one whole, functioning individual. Sometimes there are other factors that influence our body, for example hormones and the metabolic states. For this reason I would like to introduce two Professional colleagues who are also experts in their field. I meet with them regularly and they are thoroughly recommended for the service they provide. Rachel is a pracitioner for Metabolic Balance, which is Germany's number one weight management programme. It is great for losing weight, for health issues or just understanding what the healthiest foods are for your body. This programme helped her drop a dress size, when she thought she was at her lowest weight!